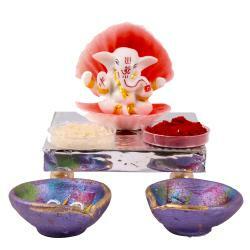 Product Consists : Daffodil Lord Ganesha Idol (Height: 2.5 inch), 2 Earthen Diya along with Designer Silver Chowki. 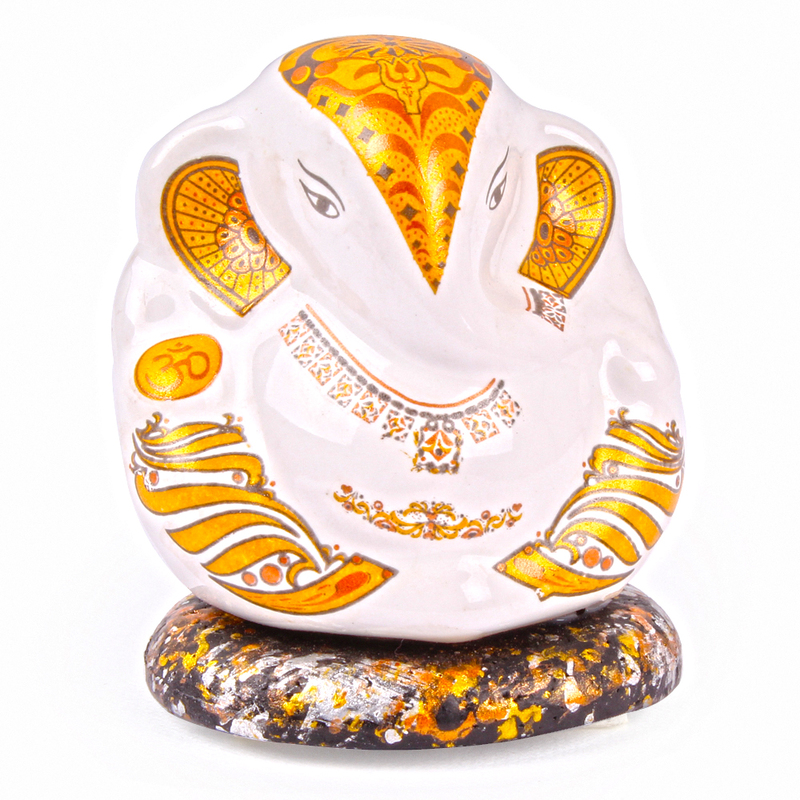 This beautiful Lord Ganesha divine Idol made from ceramic with golden design, flawless finish and looks Incredibly Beautiful. The statue has been crafted in a fine shape to become a part of holy rituals and spread positively in all directions. 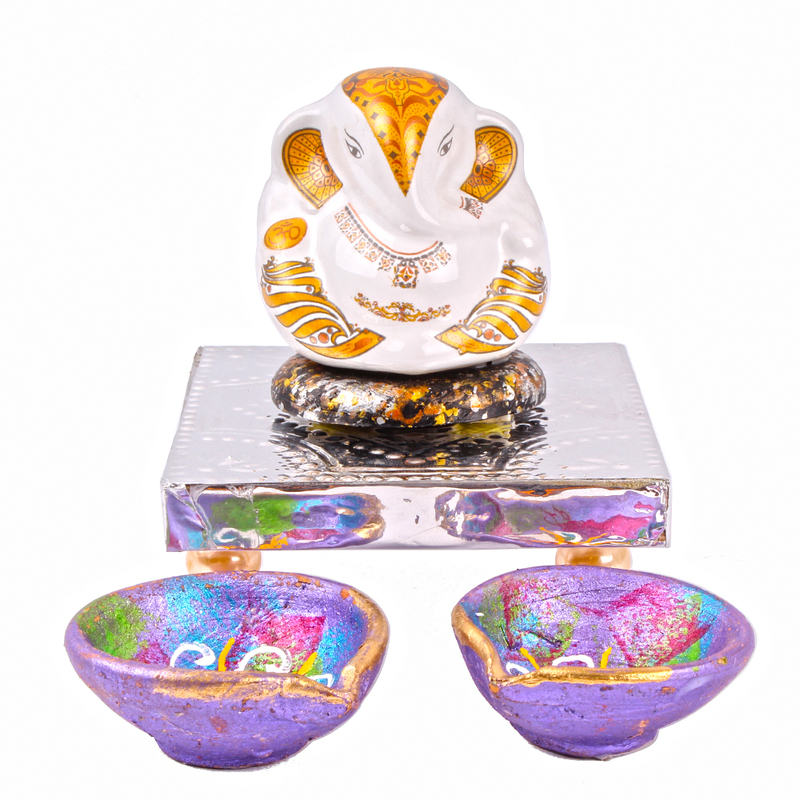 This decorative Ganesha idol is quite durable and will keep adding sparkle to your home for many years to come. 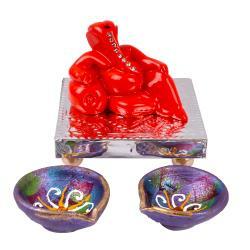 Ganesha is a great showpiece and handicraft products for your home. 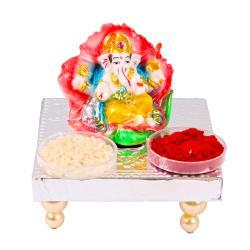 This Chowki Ganesha will add beauty and value to your pooja room an it can be kept at home or office as well. 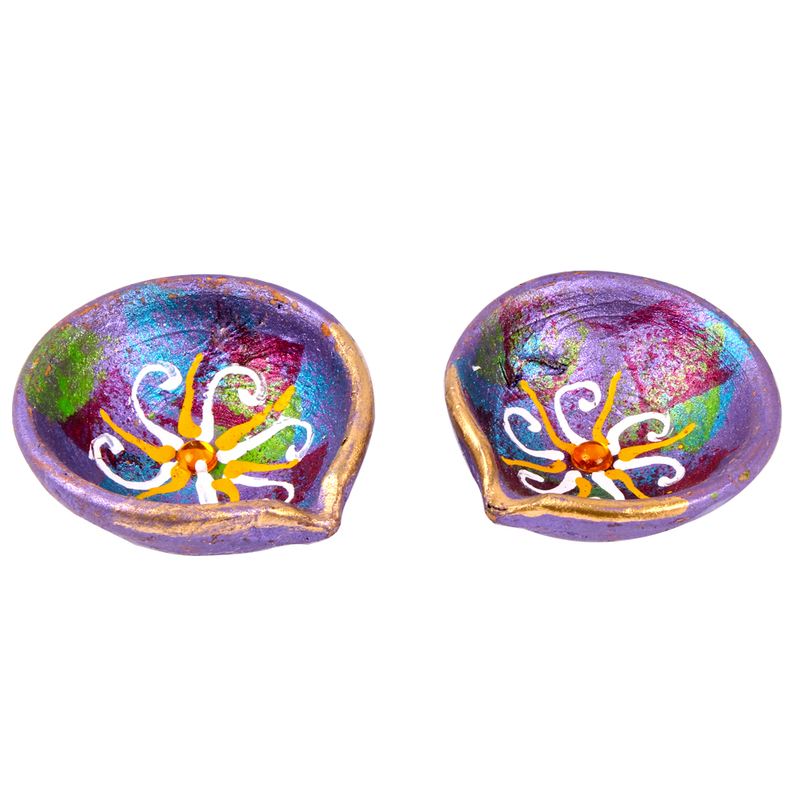 Diya which does lighting to all our surrounding and spread positiveness in nature. 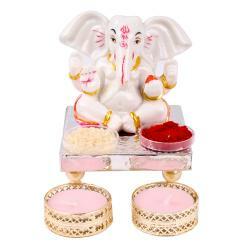 Product Consists : Daffodil Lord Ganesha Idol, 2 Earthen Diya along with Designer Silver Chowki. 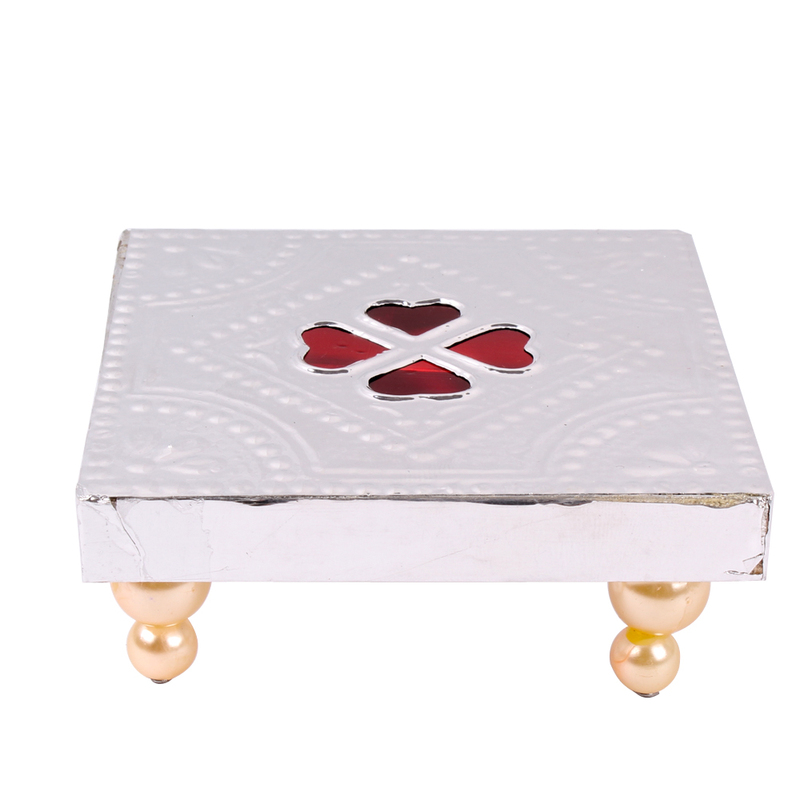 Product Consists : Daffodil Lord Ganesha Idol (Height : 2.5 inch), 2 Earthen Diya along with Designer Silver Chowki.